India's much touted tour of USA has been shelved by AIFF citing their of inability to procure Visa on time. The 23-member squad that has been practicing at Ambedkar Stadium, New Delhi, will now travel to Bhutan in the second week of August to play a friendly against them. AIFF is also expecting to host Puerto Rico in the 1st week of September, which falls in FIFA dates for international friendlies. Puerto Rico, who are currently 112 in FIFA rankings will be good opposition for the Indian team. A win against the Caribbean team will not only boost the team's morale, but also improve their FIFA ranking which will be vital to draw favourable Pot in 2019 Asia Cup Qualifiers. Bengaluru FC, who will take on Singaporean club, Tampines Rovers on 14th & 21st September in AFC Cup Quarter Finals, have not released their players for the ongoing Preparation Camp in New Delhi. Also, East Bengal, who will try to win the Seventh consecutive Calcutta Football League title, have also not released their players for the camp. 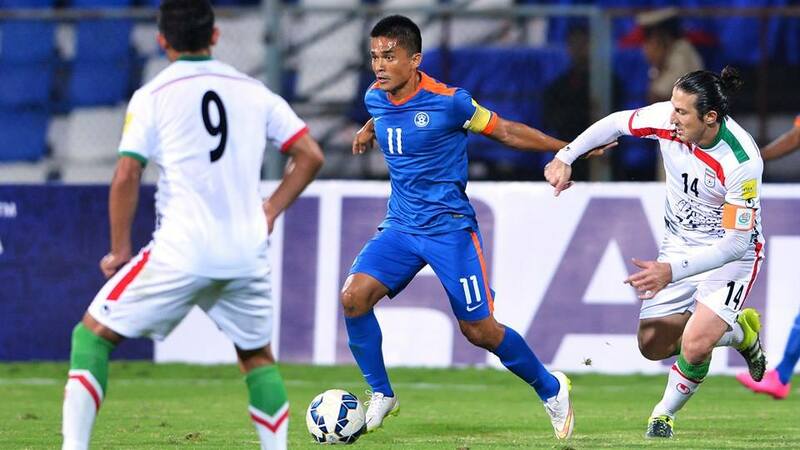 Due to this, first choice players like Sunil Chhetri, Eugeneson Lyngdoh, Udanta Singh, Arnab Mondal will not be available for the game against Bhutan. But the clubs will have to release the players for the Puerto Rico game as it falls on FIFA date for official friendlies.